"Give them the right books!" When describing her Charlotte Mason Curriculum in History, Charlotte Mason says, "It is necessary to know something of what has gone before in order to think justly of what is occurring to-day." Speaking of the defect in school curricula which fail to give a comprehensive, intelligent and interesting introduction to history, Charlotte Mason says, " It is never too late to mend but we may not delay to offer such a liberal and generous diet of History to every child in the country as shall give weight to his decisions, consideration to his actions and stability to his conduct; that stability, the lack of which has plunged us into many a stormy sea of unrest." Click to see my history recommendations. "Age 6- not stories from English History, but a definite quantity of consecutive reading, say, forty pages in a term, from a well-written, well-considered, large volume which is also well-illustrated." The book is, Our Island Story by Mrs. Marshall. The teacher will read " and the children will 'tell' paragraph by paragraph, passage by passage." This is to encourage mind memory,in which the mind is active remembering, rather than word memory which focuses on repetition. 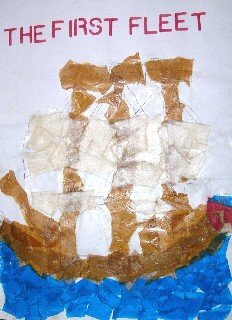 Age 7-8 continue with Our Island Story to the end of the book, reading approximately 40 pages a term, and employing the same methods of a single reading, followed by oral or written narrations. The history is "amplified and illustrated by short biographies of persons connected with the period studied." This way the children individualize their heroes and patriotism is inculculated. Ages 9-12 - "A more difficult book than 1A, an interesting and well-written history of England of which they read some fifty pages or so a term." Also, they read some chapters in a book which describe the social life in England at the time. The children are also introduced to contemporary history of other countries, "as the study of English history alone is apt to lead to a certain insular and arrogant habit of mind." These children read relevant chapters from First History of France alongside the English history. Reading history in this way "throws light on that of their own country and certainly gives them a sense that history was progressing everywhere much as it was at home during the period they are reading about." Ancient History which cannot be contemporaneous, is approached in a chronological way through a book about the British Museum by Mrs.W.Epps. "A "Book of Centuries" in which children draw such illustrations as they come across of objects of domestic use, of art, etc, connected with the century they are reading about. These books - on English History, French History and the British Museum book are used through these years, going on with their "Book of Centuries" and adding a little book on Indian History (20-30 pages a term) at about age 12-13. Used a "Book of Centuries" from ages 9-12. Charlotte Mason chose spine books to read the history of England, France, the Indians, the Greeks and Romans. 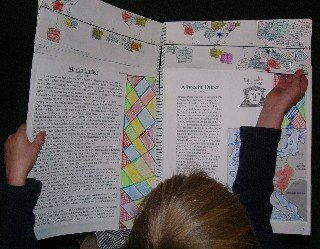 A Spinebook is a book which can be used to tie the stories together. It would not be a dry, dull book. It would be an inspiring book which captures the child's interest attention and tells the exciting stories of the "big" and "small" characters of history. This book must be chosen carefully. Remember the words on Charlotte Mason, "well-written, well-considered, which is also well-illustrated." We must give them, "the right books." In the Charlotte Mason style, the teacher would read the Spinebook and the child would narrate orally or in a written essay. The section covered in the spinebook can be explored in further detail to gain further insight into the time period and what is happening in other parts of the world at that time. You could read novels, act out plays, give speeches about the topic/person/event which bring the time period alive. Excursions to museums or memorial sites can enhance the history readings. Although Charlotte Mason does not refer to projects, this can also be a way to enhance the reading. When ready, head back to the spinebook to continue through the study of the time period. Charlotte Mason was very concerned about not giving children "twaddle". Sometimes even a project can be "twaddle" and fiddling around, rather than filling the child's mind with living ideas and reality. For more information go to Using a Spinebook to Teach History. 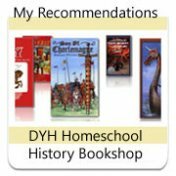 If you are homeschooling one child, you would move chronologically through history using a Spinebook if desired and choose literature which suits the age level of your child. You would move through history in two cycles, Years 1-6 and then begin again in Years 7-12 in greater depth. 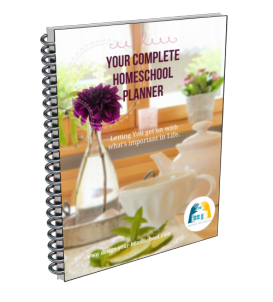 Will your family study the same time period? - using a spinebook (to cover most ages) and then choosing literature which is appropriate for each age. Once you have decided this question, you can go on to select books which would serve your purpose. See History Using a Chronological Approach for more information. 4. Using excellent literature in the study of history. This is the key to history - reading exciting, time-period novels with your children, either as read-alouds or as assigned readings. Although Charlotte Mason would advocate that when the child can read, they should be reading mostly on their own, I would not give away my time-slot of reading to my children. The truth for me is that if I am not engaged in reading history to my children, I am missing out on enjoying the history experience with them. Reading alongside my children, has been my second chance at my own education. 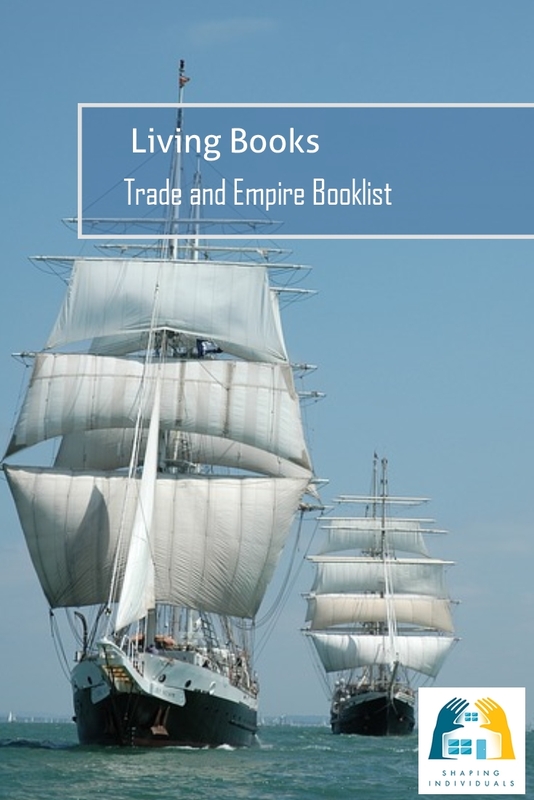 In A Living Books Approach to History I have described ways to use Living Books to teach History. 5. Using a "Book of the Centuries"
A Book of Centuries is a way in which information about history - the people, places, events can be recorded. 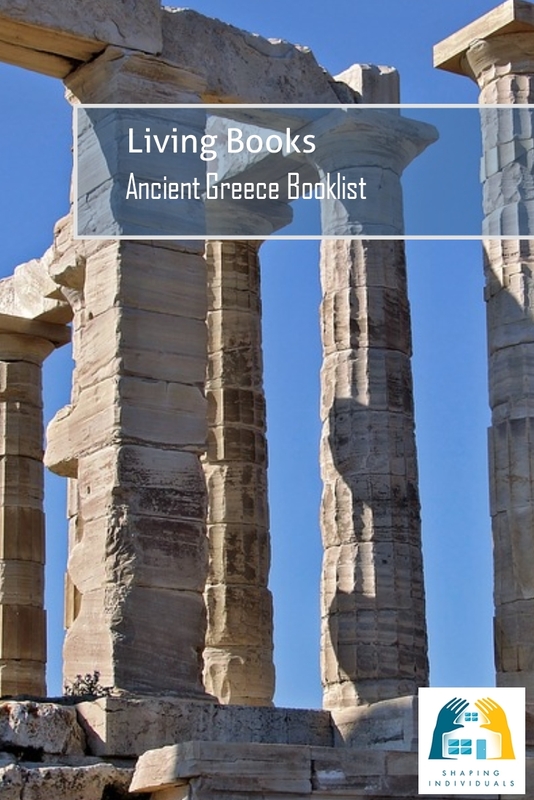 You can either purchase a pre-made Book of Centuries or make your own. We have made our own History Books using A3 visual arts diaries. For my younger children, we entered the narrations in chronological order as we read the stories, and added pictures and dates. However, for my older children (beginning age 12-13), we wanted to include a time-line. This presented us with a problem. We needed to work out how many years to place on each double-page. If we spanned 50 years a page, what would happen if our writings were greater than the allocated amount of space we provided? As we spoke about this together, we came up with the solution of dividing and cutting the pages, to make a time-line at the top of the page, which could be turned separately. Now, the children can turn to their written narration on World War I, and turn their time-line strip to the same section. This has seemed to work for us and their books are a wonderful reminder of what we read and studied together through the years. 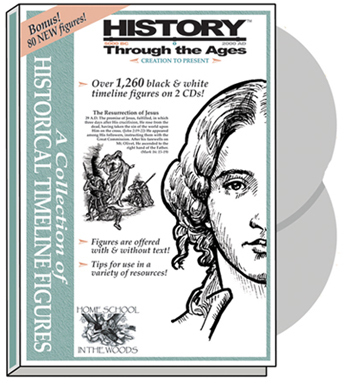 If you're hoping to set up your own history notebooks - take a look at what Amy Pak offers with the History Through the Ages timeline figures. Also available is the history, "Record of Time" notebook to record and create your own wonderful book of history! 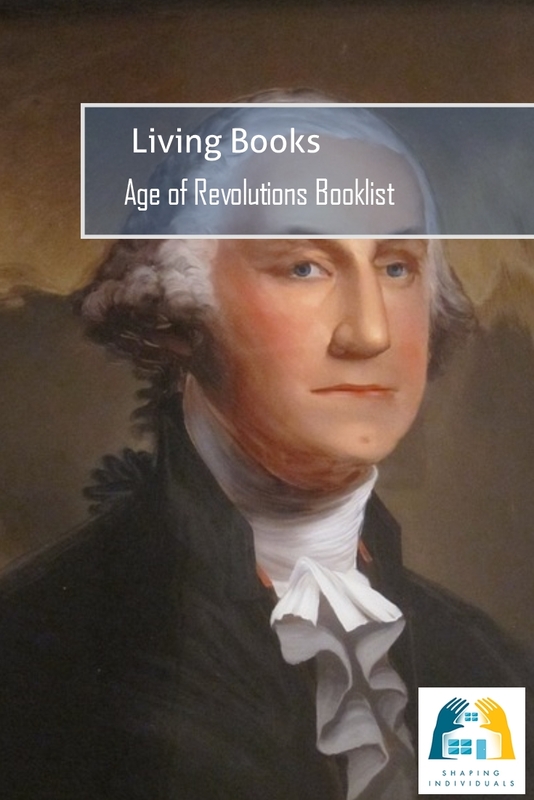 Really helpful resource and can be used with any homeschool history curriculum. This 2-CD set allows the freedom to print timeline figures in a variety of ways and sizes, to suit whatever project you're working on! Both CDs contain figures in two formats: One with text descriptions for those who prefer an encapsulated summary, and one with only a name and date, allowing the child to add in the information, or for easier use in projects. 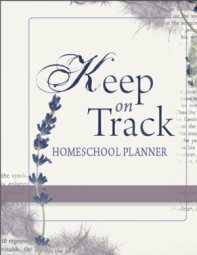 With all the time and energy your child puts into their timeline notebook, you will want one that not only beautifully displays their efforts, but will stand up to the years of use, providing a keepsake to last their school-life and beyond. We designed the Record of Time with all those elements in mind! 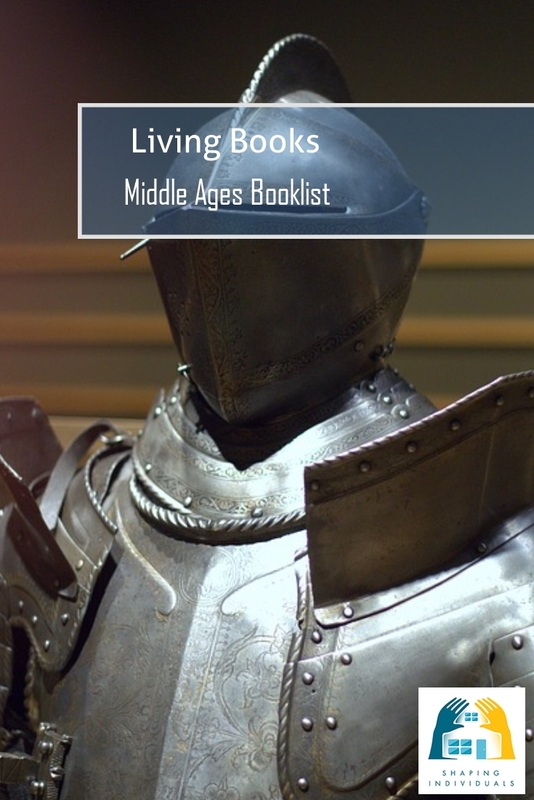 I have collated my favourite history living books into time-periods. 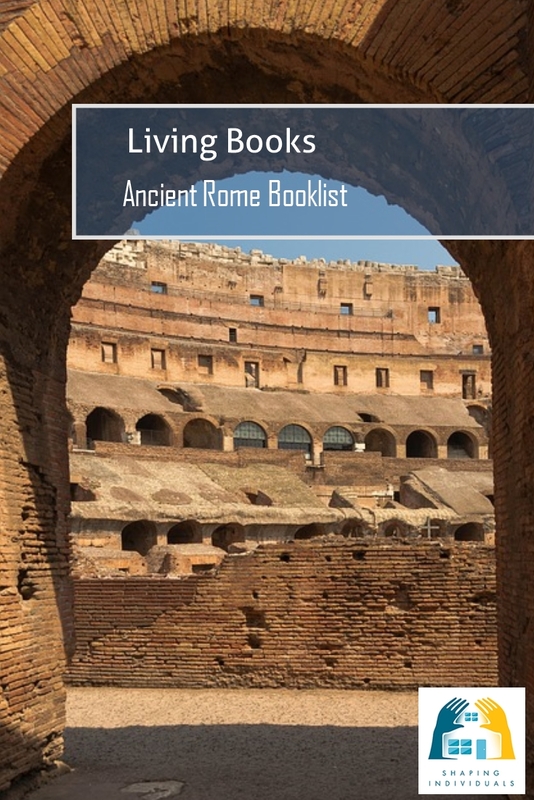 Although it is difficult to divide living books into age-appropriate levels (you may have a more sensitive or more mature child - your choice, remember), I have divided them into age levels : Years 1-4; Years 5-8; Years 9-12. 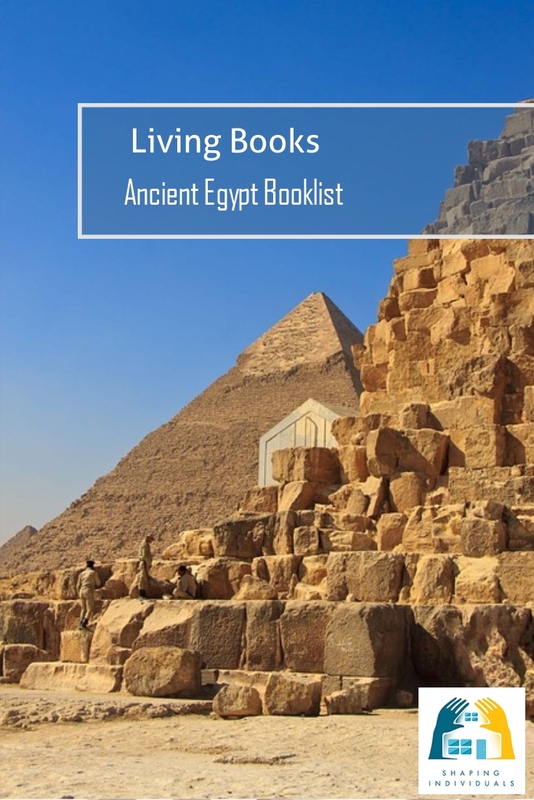 I hope you enjoy these books and that they may bring your study of history alive and exciting and that you may enjoy living in the past and learning from it. The children are promoted to Gardiner's Student History of England together with by Mr. and Mrs. Quennell. They are introduced to outlines of European history and The British Museum for Children and "Book of Centuries" is continued. Ages 15-18 - These history studies "are more advanced and more copious. 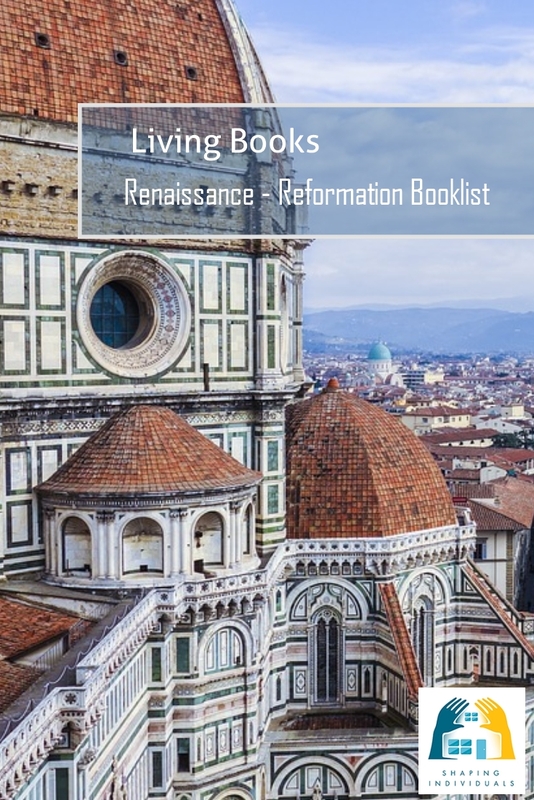 "The textbook is Green's Shorter History of the English People, which is amplified by literature - for plays, novels, essays, 'lives', poems, are all pressed into service and where it is possible, the architecture, painting, etc which the period produced." In this way "the pageant of history is in the background of one's thoughts... and the imagination is warmed." "The pupils make history charts for every hundred years on the plan either adapted or invented by the late Miss Beale of Cheltenham, a square ruled into a hundred spaces ten in each direction with the symbol in each square showing an event which lends itself to illustration during that particular ten years. Thus crossed battle axes represent a war." As Charlotte Mason describes above, the study of history in the older years consists of more advanced and more copious studies. As the children mature through their ages, the historical content and correlating literature becomes more in depth. In the younger years, the children are beginning to meet the characters of history, whereas, in these older years they are moving from making connections between what happened before and after, causes, consequences, reasons, to concentrating and evaluating the ideas, philosophies of the past and the present. You may decide to continue to work in a similar way as described above: Chronologically, Reading Biographies, Reading Literature from the time-period, Recording in a Book of Centuries, using a time-line, but increase the amount and the difficulty of the reading involved. Teach the skill of outlining and finding the main ideas in narrative writing. Spend time discussing the ideas and philosophies of the times. Teach essay writing and use history as the content. Essays help the child to outline their thoughts into points. Essay topics can be varied: Reasons for.../ Compare and Contrast.../ Causes of..../ Outcomes of ..../ Argumentative essays - This event was beneficial/ detrimental... and so on.These essays require more in depth reading and thinking. Amplify the study of history with the literature of the time period - essays, novels, plays, speeches. Read, discuss and write.